In Holland 1633, a woman’s ambition has no place. Judith is a painter, dodging the law and whispers of murder to become the first woman admitted to the prestigious Haarlem artist’s guild. Maria is a Catholic in a country where the faith is banned, hoping to absolve her sins by recovering a lost saint’s relic. Both women’s destinies will be shaped by their ambitions, running counter to the city’s most powerful men, whose own plans spell disaster. 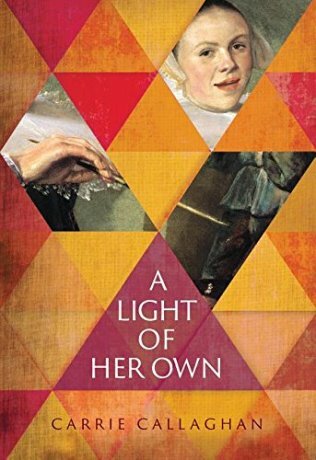 A vivid portrait of a remarkable artist, A Light of Her Own is a richly-woven story of grit against the backdrop of Rembrandt and an uncompromising religion. For more information, please visit Carrie Callaghan's website and blog. 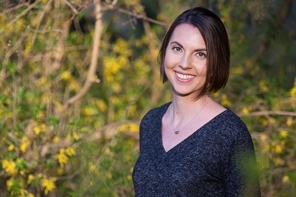 You can also connect with her on Facebook, Twitter and Goodreads. During the Blog Tour we will be giving away 2 signed hardcovers of A Light of Her Own! To enter, please see the Gleam form below. Giveaway Rules – Giveaway ends at 11:59pm EST on December 7th. You must be 18 or older to enter. – Giveaway is open to US residents only. – Winner has 48 hours to claim prize or new winner is chosen. Thank you for featuring A Light of Her Own! We appreciate your support!